Text in quotes and italics are direct from the sites with the exception of the CLEA descriptions which are directly from CLEA, but not italicized. The Sky https://theskylive.com/ Interactive planetarium, sky maps, lots of live sky imformation. Nicely done site and easy to navagate. An online interactive sky map with links to SDSS sky survey images. This site might be run by SDSS, but there is nothing on the site to confirm this. 3d images of constellations, galaxies, and some others. Useful to get across the point that the stars are not all at the same distance. Online encyclopedia of space. Has teachers resource section. "Journey through the stars with National Geographic Online. View the nighttime sky using National Geographic's popular Star Chart, now with overlays of Hubble Space Telescope images. Visit our Star Attractions highlights of the heavens or take a look at the Hubble Space Telescope itself using ore model and guide. 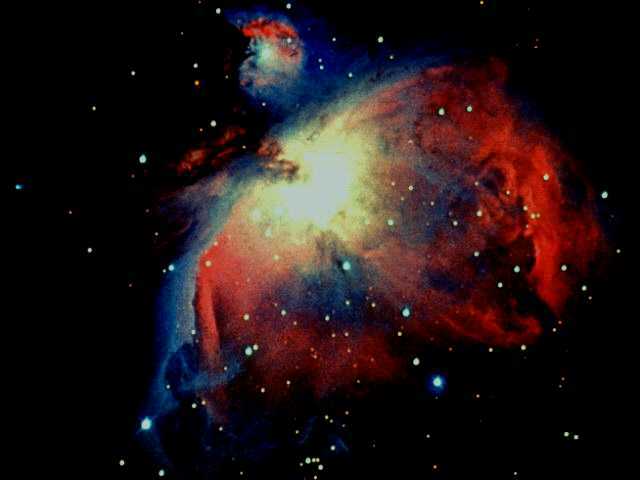 Take charge of the telescope and plot your own course through the cosmos." Interactive Space Science lessons: Comets, Light, Spectra.. Lesson building information and help for teachers. Included, also, is a very helpful page to create a "forum" discussion group for your class. "This site provides information about the Rossi X-ray Timing Explorer and the fundamentals of X-ray astronomy for a high school and above audience. The Learning Center features a synopsis of RXTE discoveries, lesson plans utilizing RXTE data, a do-it-yourself model of RXTE, and an overview of our interface for RXTE's All Sky Monitor data." "Cosmicopia contains an abundance (a cornucopia, if you will) of information about cosmic rays, the Earth's magnetosphere, the Sun, space weather, and other exciting topics in space science." "A sneek preview of AstroCappella, a collection of Rockin' A Cappella tunes and hand-on activities about the wonders of the Universe. Composed by professional astronomers for use in science classes at the middle school level and above." The artsy side of astronomy. "The Internet Astronomy School (IAS) is designed as an on-line school for students from the 4th grade to the end of high school. Apart from the fact that students can study in it directly from their homes, it is intended to be used by science teachers within the framework of their science courses." This is a very well done site. Very interactive, promting students with questions requiring correct answers. Affiliated with the Sea of Galilee Astrophysical Observatory in Jordan. This is a great example of the power of the internet to take you to other parts of the world. This site is viewed best with a fast intermet connection and Netscape with Java capability or the latest version of Internet Explorer. Lessons Astronomy in a Puddle - Getting acquainted with the law of reflection. Astronomy with Air - Twinkle, twinkle little star. Astronomy with a Stick - Find out the time through a shadow's position. Astronomy with Glass - Get focused on lenses. The Sun's "Finger Prints" - Interpreting the Sun's structure through its spectrum. What are Coordinates? - Getting oriented on locating objects. Geolines - Coordinates on a ball. Astronomy with a Triangle - As a rule of thumb. A First Look at the Night Sky - What you see is what you get! How to See Around the Corners - First acquaintance with the law of refraction. A View to the North - Turning around the earth's axis. Your Weight on Other Planets - A space flight as a dietary method. The Moon's 29 "Faces" - Thou shalt respect thy neighbor. Distances in the Solar System - Getting to know the relative distances in our solar community. Astro Brain-Crackers Space Crown - A game/quiz as a recapitulation of the above 12 lessons. Conceptual Frameworks in Astronomy - Check yourself on how you perceive the universe. Glossary - A comprehensive "terms and definitions" written by Calvin J. Hamilton, author of Views of the Solar System." Project CLEA develops laboratory exercises that illustrate modern astronomical techniques using digital data and color images. They are suitable for high- school and college classes at all levels, but come with defaults set for use in introductory astronomy classes for non-science majors. Each CLEA laboratory exercise includes a dedicated computer program, a student manual, and a technical guide for the instructor. The technical guides describe file formats, user-settable options, and algorithms used in the programs. The most advanced CLEA labs run under Windows on PC's, or on color-capable Macintosh computers. Black and white Mac programs (labeled b/w Mac in the descriptions below) are also available for some of the programs but please note that these do not have all the features of their Windows counterparts, although they share their basic functionality. Some exercises that use public-domain programs running under DOS are also available. "Since Caltech's Jet Propulsion Laboratory (JPL) manages NASA projects that probe the deep space (translunar) environment of our solar system, operations people need to have an understanding of the basics of space flight in order to perform effectively at JPL. This module is the first in a sequence of training modules that pertain to space flight operations activities. (See diagram below.) There is no prerequisite. This module is a prerequisite for the next in the sequence." This is a self-guided course in space flight.